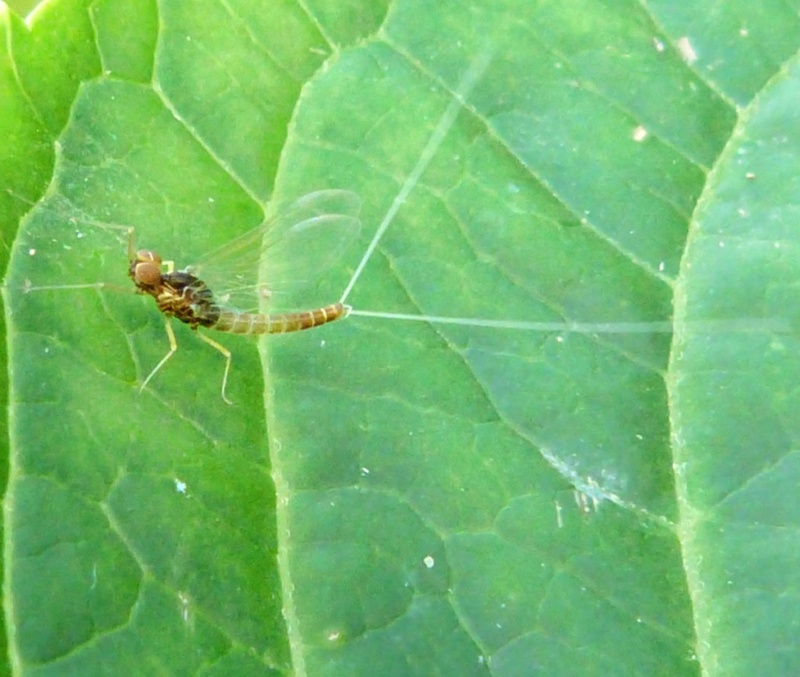 A fairly dark olive coloured mayfly with two tails. An insect of flowing water. It is found in steep stony streams as well as in weed-rich chalk streams. The adults can be seen from spring through summer and into autumn, but the peak of the hatch occurs in July and August. 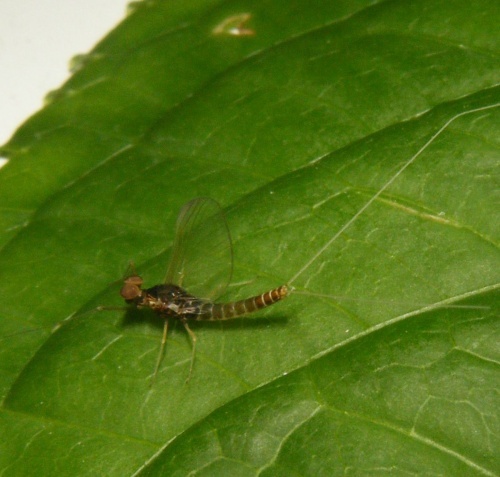 As with all members of the order Ephemeroptera found in Britain and Ireland, this insect has three tails in its nymphal stage, and again like other Baetis flies it retains only two when in its winged form. The female lays her eggs on emergent rocks, marginal reeds or branches extending beneath the surface of streams. Appears to be uncommon in Leicestershire and Rutland.